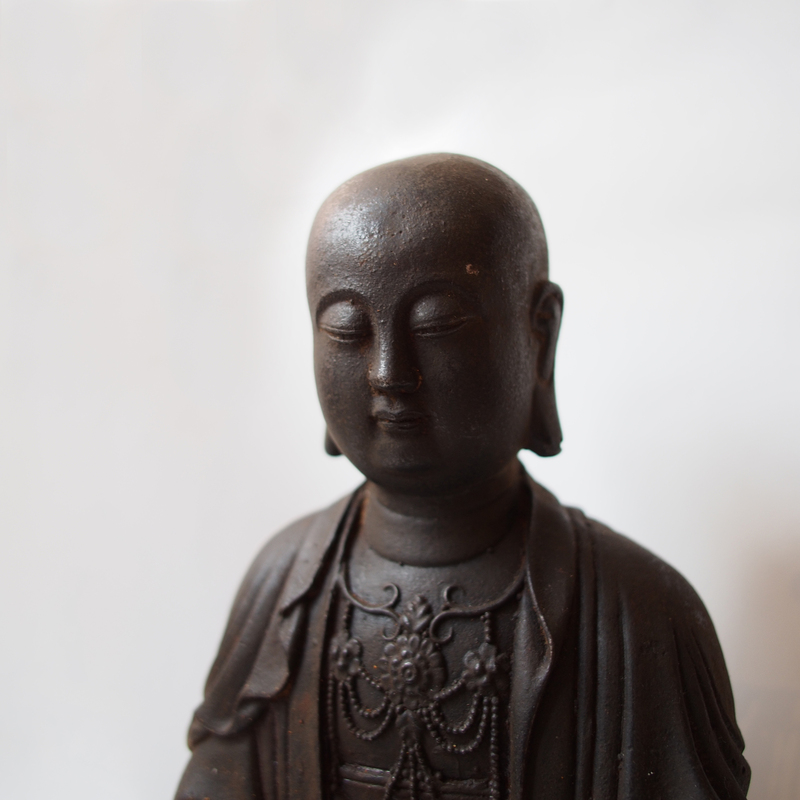 This is an iron figurine of the Bodhisattva Ksitigarbha (Dayuan Dizang Pusa). Bohisattva Ksitgarbha is one of the four bodhisattvas of Mahayana Buddhism along with Samantabhadra, Manjusri and Avalokitesvara. Between the period of the death of Gautama Buddha and the rise of Maitreya Buddha, Ksitgarbha is responsible for the enlightenment of all the beings in the six worlds. He vowed not attain buddhahood until the hell is empty of all beings. In this figurine Bodhisattva Ksitigarbha is holding a cintamani, a wish filling jewel, which came from the palace of the sea dragon. 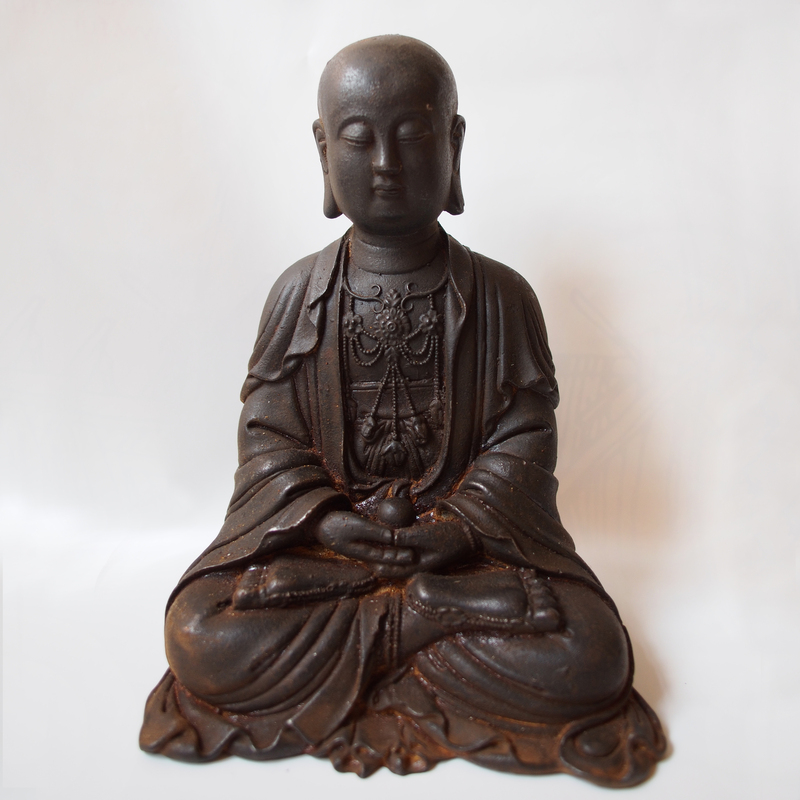 The cintamani has a capacity of relieve suffering and illness, a symbol of virtue of the Buddha. how much do you sell it ? thank you so much for your enquiry, we are sorry that the item has already been sold. Would it be too indelicate to ask you how much this kind of object cost ? Is it an “reproducted” object or quite unique and where does it come from ? Which country of designing ?